What is it about fall that gives so many of us the warm fuzzies? For me I think it’s that it’s the most family oriented of the seasons. The minute summer ends and kids go back to school, our thoughts turn more to home. The weather may still be warm outside, but we’re already decorating our front entryways with thoughts of kids trick-or-treating, planning our harvest celebrations for Thanksgiving, and even thinking ahead to the December holidays. September through New Year’s is one long progression of holiday after holiday, enjoyed with family, like no other time of year. Today I’m happy to be joining a wonderful group of bloggers for the Seasonal Simplicity Fall Home Tour, hosted by Krista from The Happy Housie. 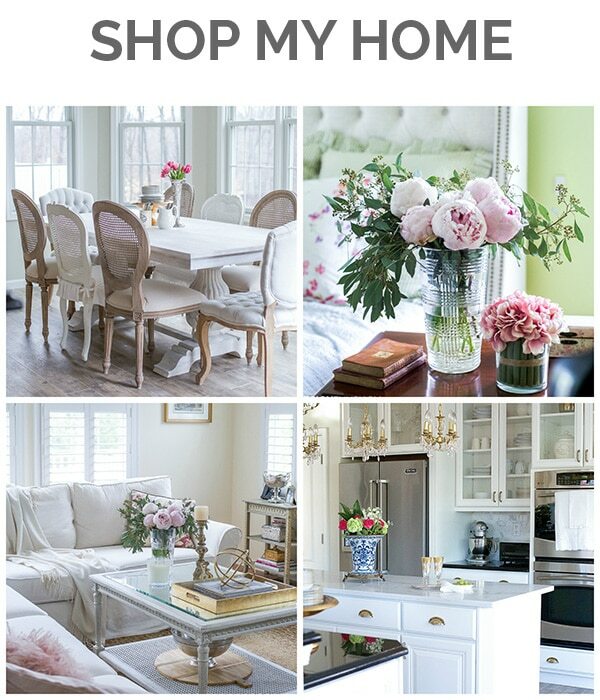 If you’re coming over from Town and Country Living and are new to my blog, I’d like to extend a special welcome. Be sure to check out the other tours at the bottom of this post, as well. I’m no great fan of orange, brown and gold, particularly mixed together, but fall is still my favorite season and so I love to decorate in softer tones. Let’s look at 5 super easy ways to bring fall warmth into your living room using a gentle and pretty color palette. 1. 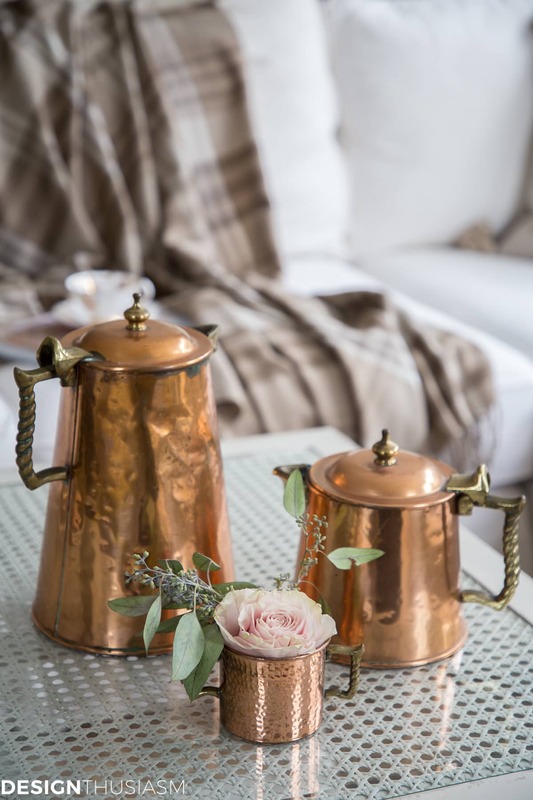 Vintage copper – when it comes to fall decor ideas, one of the first places I look to is vintage copper pieces. The aged patina adds a layer of elegance and the warm hue speaks to autumn color without being out and out orange. These pieces are widely available at antique markets and online, and depending on their shapes, can be utilized in various ways. 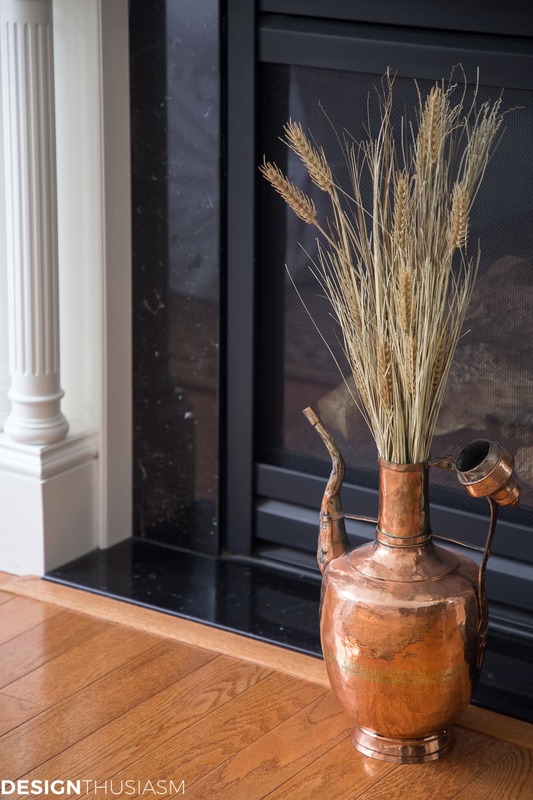 From vases to hold flowers or simply displayed in a vignette, copper can be lovely in even the starkest of white rooms. 2. 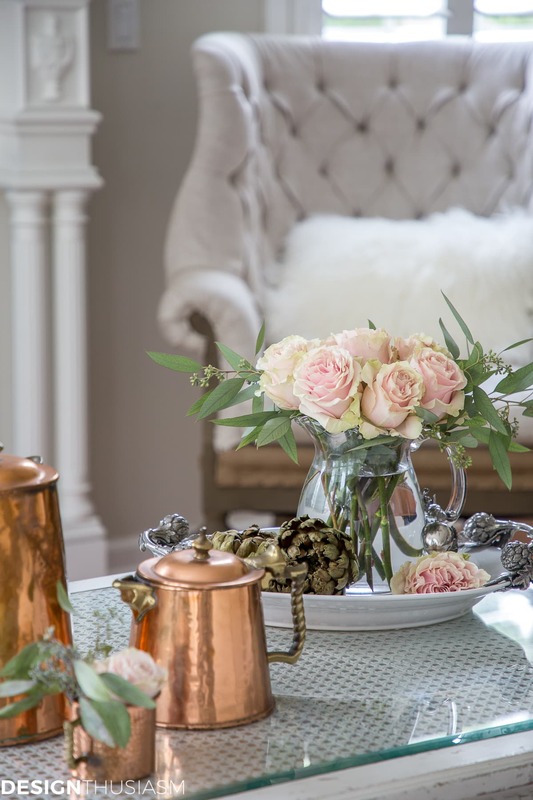 Blush pink flowers – the quintessential pairing with rose gold or copper is the palest of blush pinks. 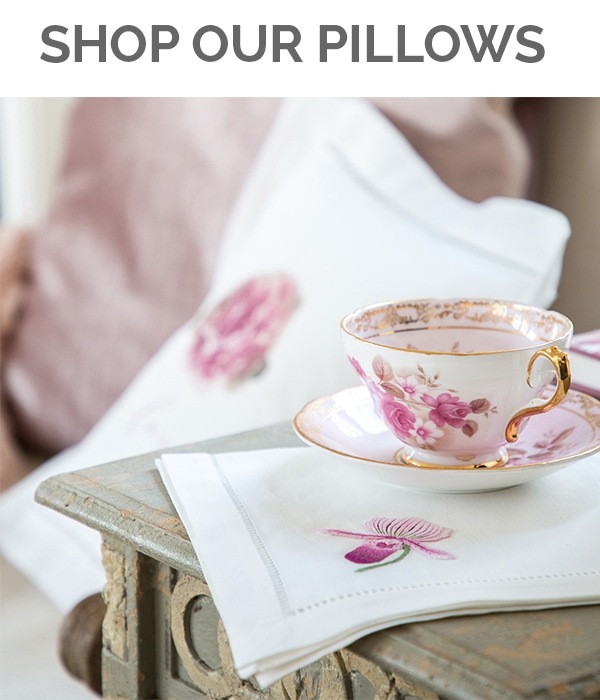 It can be added in pillows or throws, but my favorite way to add pink is with fresh flowers. Roses, dahlias or if you can find them, peonies. And while I love fresh, I’m not against using faux flowers, as well. 3. Heirloom pumpkins – Nothing says fall quite like pumpkins, but to make a softer statement, you can’t beat the gentle colors and unique shapes of heirloom pumpkins. The pastel tones look beautiful in a neutral room, and early in season they’re the perfect way to subtly announce that fall is coming. I found mine at Trader Joe’s and Whole Foods, but you can also find these in the faux version, as well. 4. 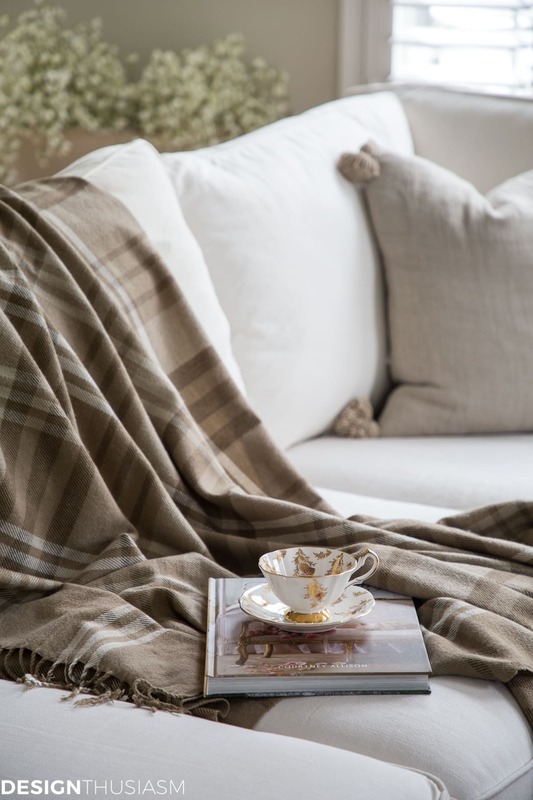 Plaid throw blankets – adding textiles is a great way to bring fall warmth into a room. Plaid throws are awesome and I’ve used a simple brown pattern here. I prefer the ‘dry’ clean look of a simple tonal plaid, but you can go as crazy as you like here depending on your taste for color. Tweeds also work well, as do other menswear patterns. 5. Wheat stalks – what’s great about fall decor is that it doesn’t have to be very expensive and a really easy, very affordable idea is to use wheat stalks in your decorating. They look great with copper and fit well with neutral colors for that casually elegant fall look. Pop them in a vase, stand them on their own or lay them down on a table. Any way you use them, they’re a visual cue signaling the season that’s all about home. 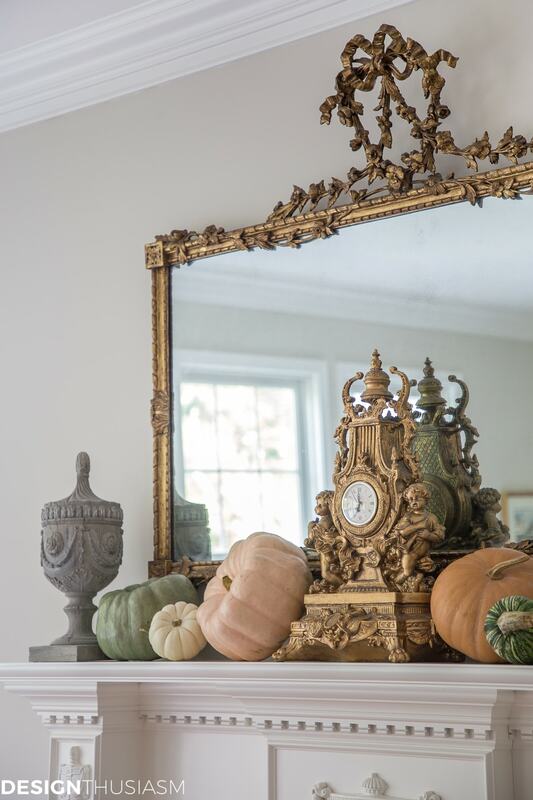 Each of these fall decor ideas can make a bold statement, giving you more bang for your decorating buck, while remaining tasteful if not understated. 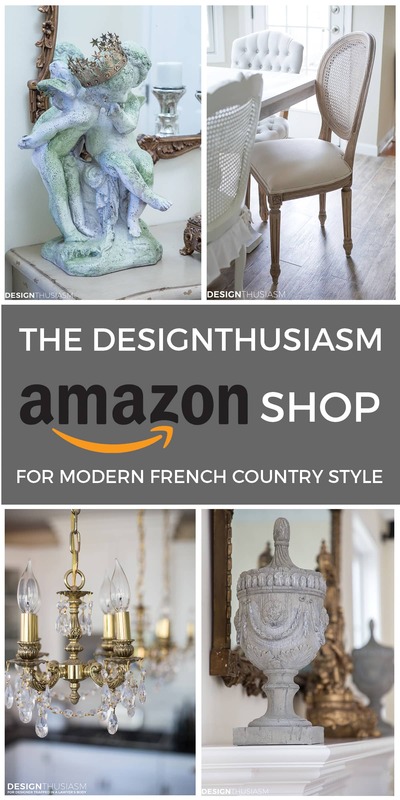 If casual elegance is what you’re going for in your autumn living room, these elements taken together are sure to get the job done, while giving you the warm fuzzies at the same time! Fall Decor Ideas Source List – To get the look, click on the items below for direct links to the products. Where actual items were no longer available, I’ve provided similar options. 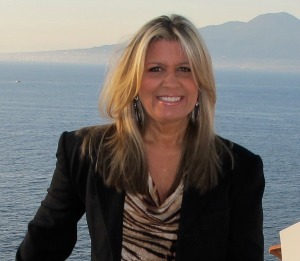 Next up on the tour is Sincerely, Marie Designs and I know you will love what she has put together! Then continue on for the rest of the tour because there’s so much fall inspiration! You can find the full list below with all the links. Enjoy! So pretty, Lory! 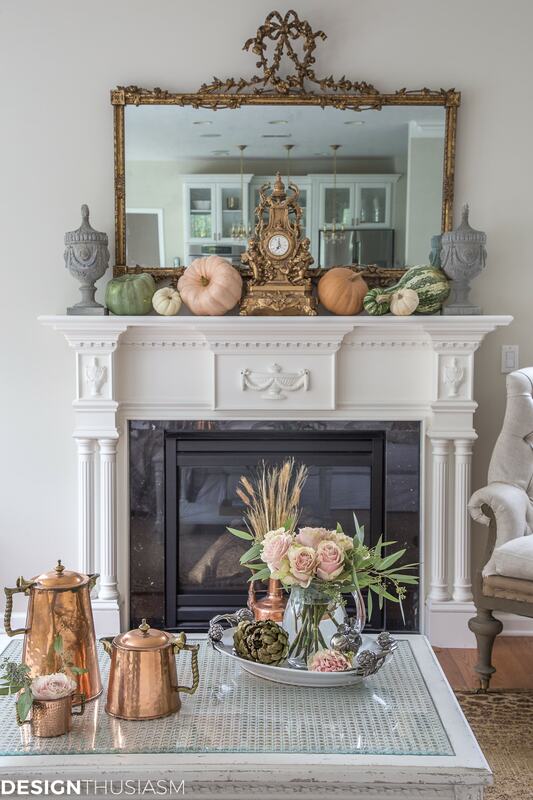 Love your vintage copper and your amazing mantel with the pretty mirror. Your room is light and bright yet cozy for fall. Absolutely beautiful, Laurie! 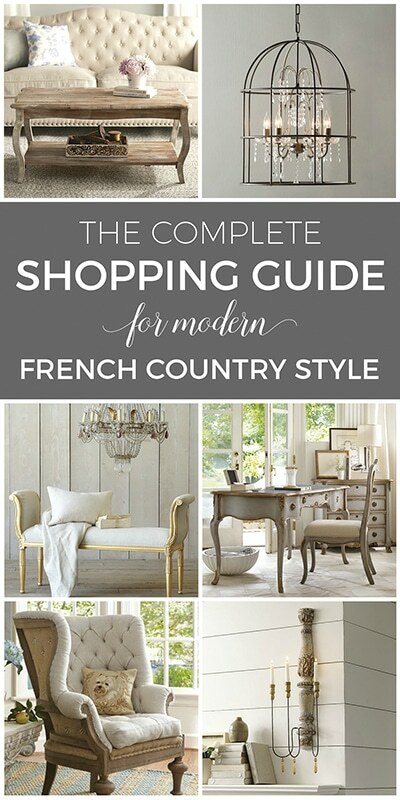 I adore these soft warm colours for fall – and great tips. So glad you could be part of this tour!! sorry! wrong spelling – Lory! Thanks for the kind words, Krista, and also thanks for including me!! In as much as I love the traditional burnt oranges, sparkly browns and glimmering gold I have mixed together, mind you, in lovely fall vignettes artistically placed around my home, I was a bit insulted by your harsh, first sentence. I thought it a bit rude to put down what a lot of ladies have worked with to decorate their homes for fall. It would have been much more gracious of you to just begin with what you have to offer. No need to begin with a cut down. I suppose I don’t need from you what I thought you had. I must admit, I’m a bit confused. Do you mean where I said I’m not a big fan of those colors? I didn’t think that was such a harsh statement, and I am only talking about my preference for my own home. I don’t see how that’s a put down of anyone else. If I said I’m not a huge fan of pizza, I certainly wouldn’t mean I thought other people cannot or should not enjoy it. In any case, my apologies if I offended you. 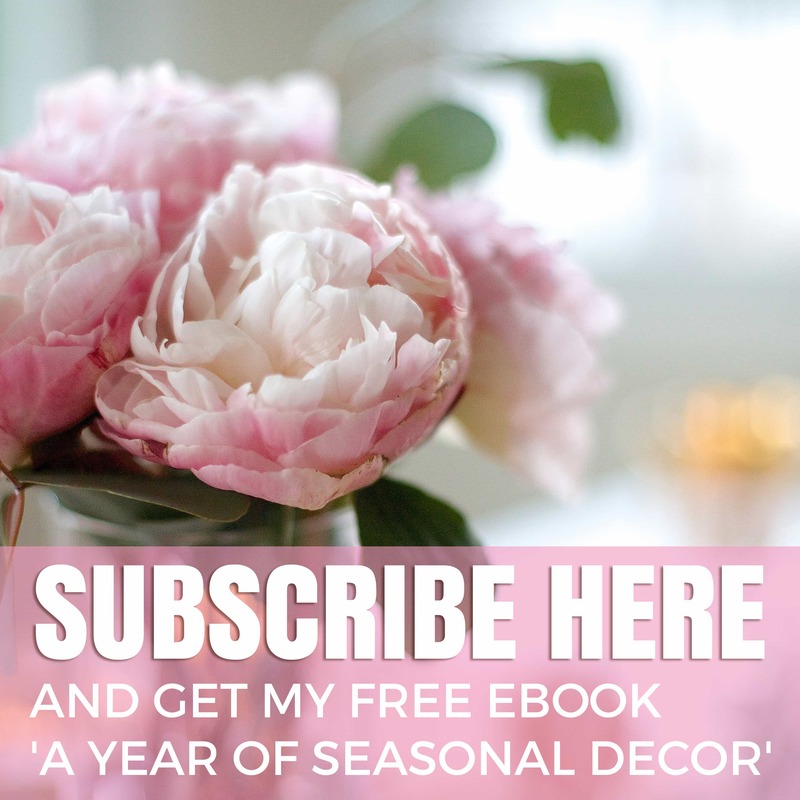 It’s difficult to write a decor blog with a point of view and not state preferences. They are never meant to be judgmental of others, but only an expression of my own tastes. No two people can have identical taste, even if they agree on the big picture. But again, I apologize if my words seemed offensive. Gorgeous fall touches, Lory! I just smitten with those vintage copper pieces. I loved every single detail! Everything looks amazing as usual Lory! The copper adds so much warmth! This is so gorgeous, Laurie! 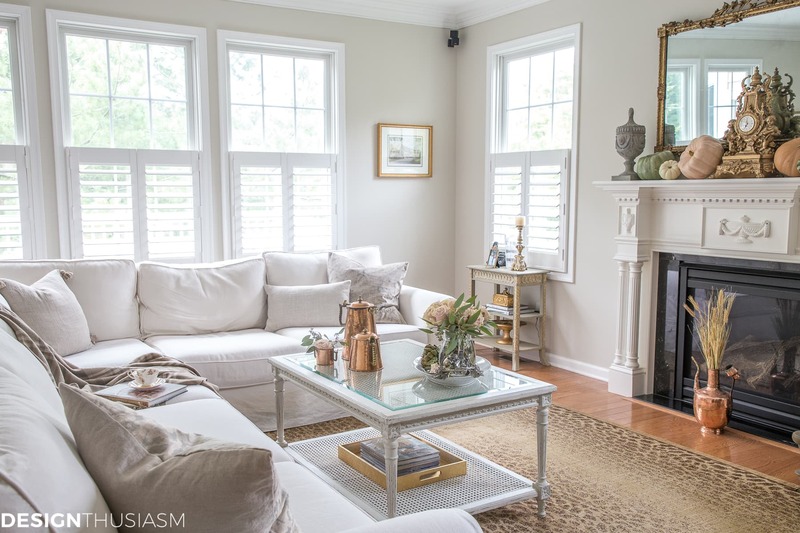 I love the soft colors and how sophisticated and inviting your home looks! I love all the gold and copper in your living room! And of course those pumpkins are the perfect touch. Happy Fall! Thanks and right back to you, Rhonda!! Oh Lory! I love this tour! SO pretty! 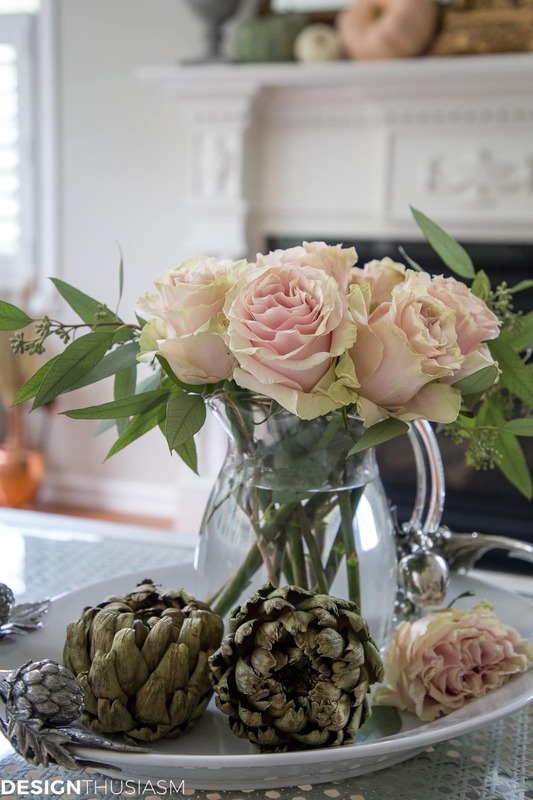 In the past, I pondered why I was so attracted to blush roses. Today, you filled in that gap of wondering for me! Thank you very much! Oh yes, Pier One has some gorgeous blush/pink pumpkins with sparkles in case you want to add that *shine* of the Fall season. I almost fell off my chair when I saw your three copper pots. When I married 50 years ago, my mother-in-law borrowed the pitcher, creamer and sugar for my husband’s groom’s table. Several years later her friend who owned them had a garage sale and my mother-in-law bought only the pitcher because someone else, we never could find who, had already purchased the creamer and sugar. Both my wonderful mother-in-law and her friend are gone now but the pitcher sits in my living room for everyone to see. At Christmas I put tall greenery in it and it’s as pretty now as it was all those years ago. I’ve never seen the set before and have looked everywhere to find them. You made my day. I’ll just have to keep looking because there’s no mark on the bottom to trace. Good heavens. Although I said “there’s no mark,” after reading your reply I turned the pot over, again, and found there are a few very, very dim letters. Holding it to the light, at an angle, there’s “_nial, in cursive and _ PTOM, and _ AND, in all caps in calibri (straight print). So, you’ve solved this old mystery. (I wonder what the 4th piece was.) Thank you so very much. You’ve made my day! I purchased the rug , just received it today . It is for a small area near living room. I actually think I liked it right away. I think this rug looks amazing with whites and neutrals. Also, my wood floors are mid-toned, which goes well with the rug. It also works beautifully with gilded pieces because of the gold tone.